I read this article and found it very interesting, thought it might be something for you. The article is called Notebooking Spotlight: Claire’s Presentation Pages and is located at https://notebookingfairy.com/presentation-spotlight/. Today we have Claire in the spotlight. 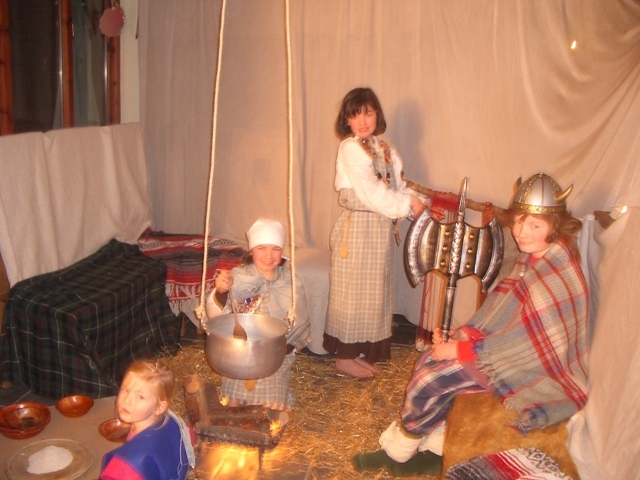 Claire homeschools her five children using a self written history curriculum as the basis for the majority of their schooling. 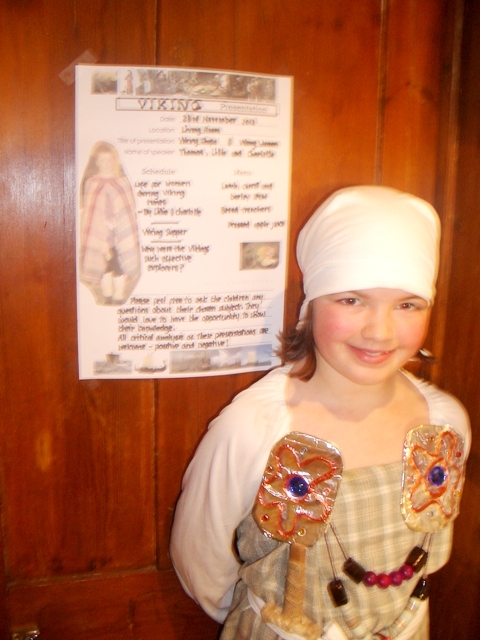 She blogs about their homeschooling adventures at Angelicscalliwags. I created a notebooking page based on a suggestion from Claire. 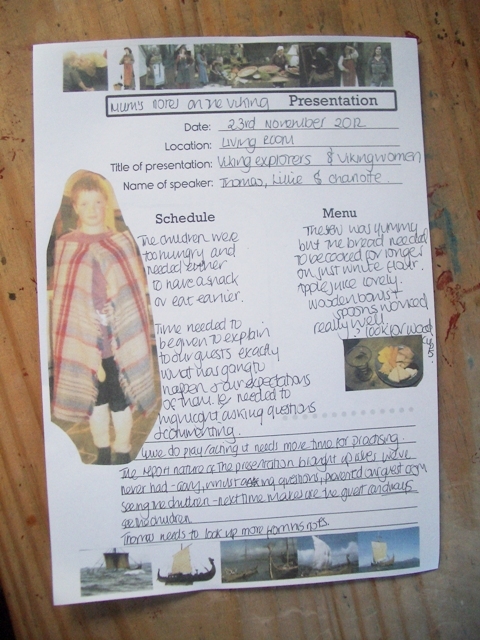 She asked for a presentation page, and this post is a follow-up, showing exactly how her children made use of that page. In our home school we notebook everything! Our shelves are filled to overflowing with the children’s three inch folders which they enthusiastically bring out eachtime we have guests around. Everything from narrations, to photos, recipes, spider diagrams, stain glass windows, art projects, even the odd wooden doll and a pair of Chinese slippers have ended up in their folders! If we have learnt from it, you can be sure that somehow it will find its way into a notebook. As a means of wrapping up the study of a culture, the children do a presentation which we invite guests to. 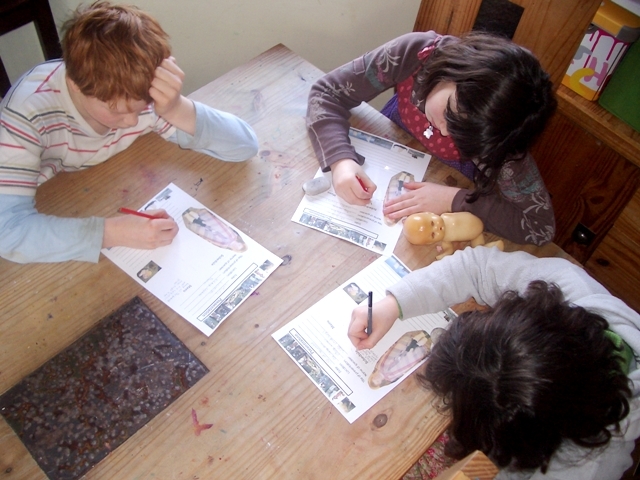 We record each presentation and put it onto a disc to slip into the children’s file. However, apart from a collage of photos and their notes from the night, the children have never recorded much about the actual presentation. I really wanted some note pages I could use to make into a program of events for the guests, with maybe somewhere for them to jot down notes or questions; for the children to record their feelings about how the presentation went along with things they might like to work on for the next one; and for our own records to document what we ate (we always eat food from the culture and era we are studying), any demonstrations the children did and the topics that were presented. It was Jimmie who made this into a reality for us. I used them in my planning stages. I found them useful to use on the night as well. Often I see something I would like to change for the next presentation, but in the hustle and bustle of the night I never think to write it down. This time I did. The children used them after their presentation to reflect on the night. I wrote down leading questions or points I wanted them to mull over. They really enjoyed this, especially the girls, and I will be encouraging them to have a look at their notes prior to our next presentation. We cut a semi circle into the top side of an A4 envelope, decorated it, three hole punched it and popped everything, including the scroll, inside. We use these frequently as a way to store irregular shaped objects together with note pages on the same subject matter. We were also able to fold the poster and pop one into each envelope. All in all, it was a wonderful way to record our home school antics. Thank you, Claire, for showing how you used the presentation pages. It is so rewarding to see them in use! 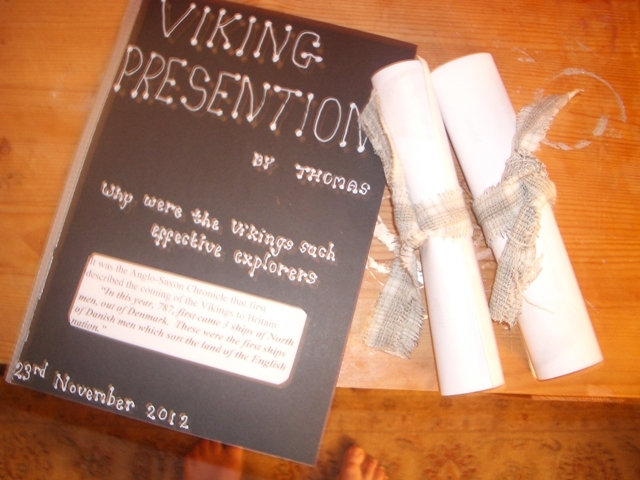 The Vikings are a person favorite of mine, and the costumes and poster-sized notebooking page makes me smile! If you use free printables from The Notebooking Fairy and would like to be featured in a blog post, send an email to pixiedust at notebookingfairy dot com. What a great idea for really making the most out of a presentation! 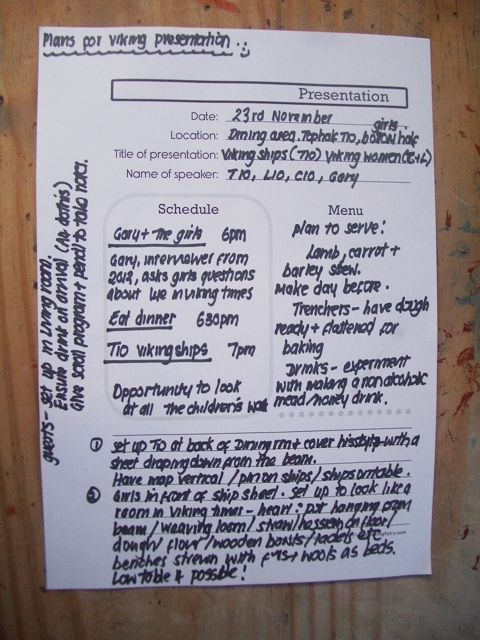 I especially love that you had the kids use them after the presentation to reflect – a great learning tool! Thanks for sharing. I’m taking notes here in case we ever do one. I love Claire’s way of teaching! It is wonderful to see the nuts and bolts behind the wonderful presentations!